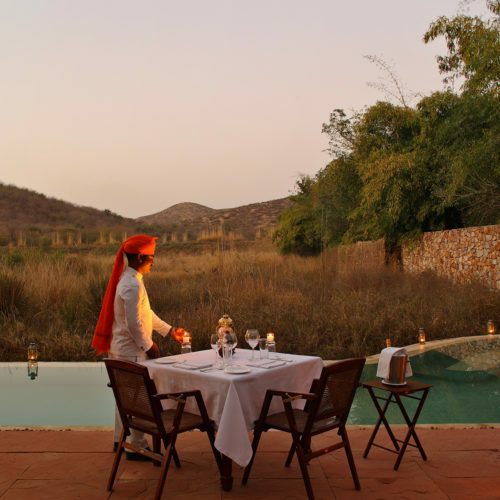 JAWAI Leopard Camp, in the heart of Rajasthan's untrammelled wilderness is located between the former kingdoms of Jodhpur and Udaipur, and enclosed by the ancient Aravalli hill range. 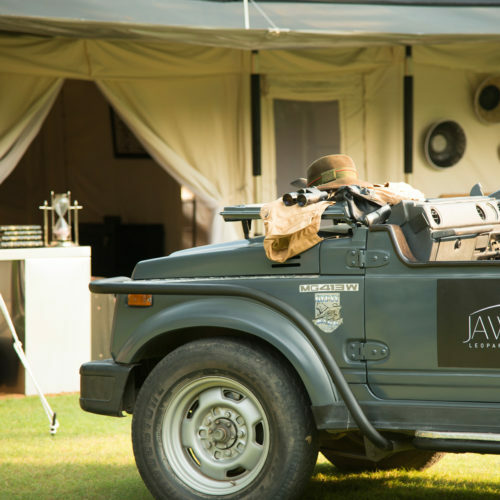 JAWAI Leopard Camp comprises eight luxurious tented suites and is the only property to lie within this unexplored region of outstanding natural beauty. 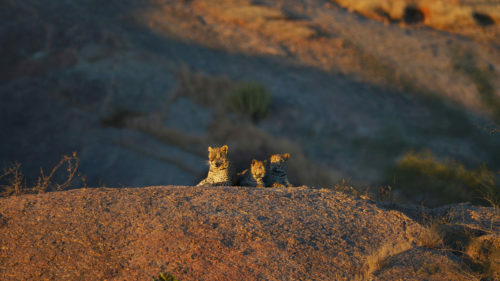 The landscape hosts a diverse eco-system, at the top of which sits the leopard. 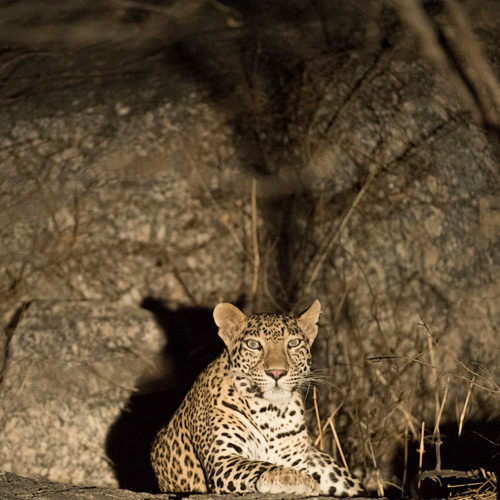 While sightings of this mysterious big cat are not easy throughout its global range and in India, at JAWAI the probability of seeing the felines is close to 75%. 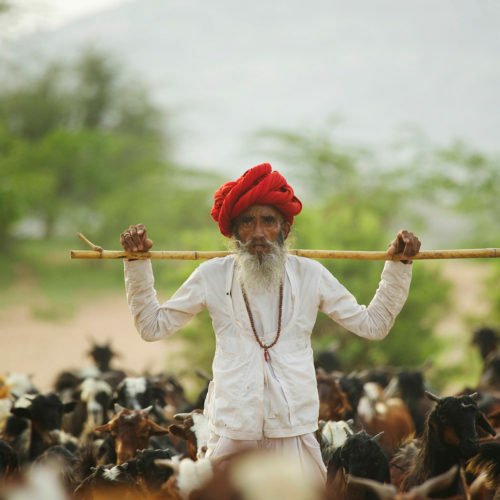 The Camp lies minutes upstream from Jawai Bandh, one of the largest water reservoirs in Western Rajasthan and attracts an impressive array of migratory birds including flamingos, geese and the Sarus Crane. 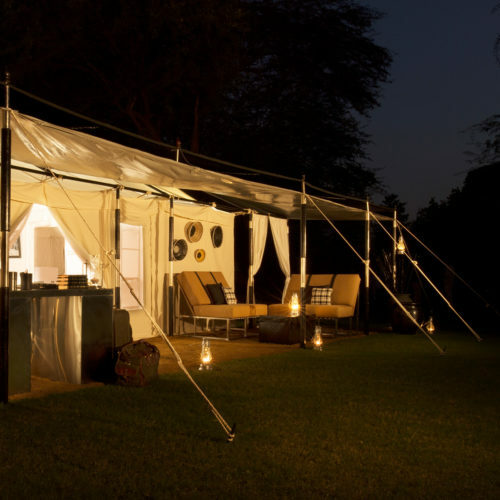 Guests will enjoy an exclusive wildlife experience, uninhibited by restrictions as it is not part of a National Park but a vast sprawling wilderness of craggy hills, scrub, grasslands and winding sand riverbeds. The suites have been furnished in a contemporary yet timeless style, using canvas, leather and stainless steel accoutrements. Decorative artefacts have been handcrafted in metal, using age-old traditions of Indian workmanship, by renowned artisan, Michael Aram. Personal touches include wildlife photography captured by Owners, Jaisal and Anjali Singh, displayed on the walls of each suite. State of the art cameras and 'His and Her' binoculars are gifted to guests during their stay to enhance their sighting experience. 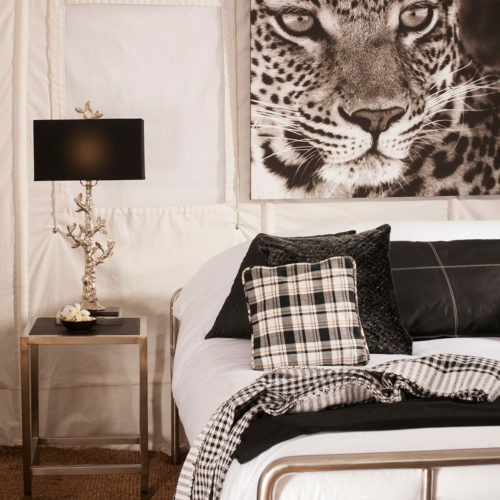 Opened in 2014 and being such an incredible experience, the JAWAI Leapord Camp featured in our 50 luxury things to do in India.